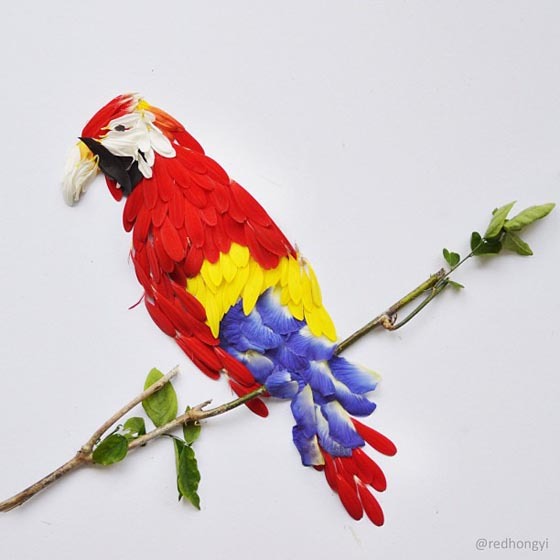 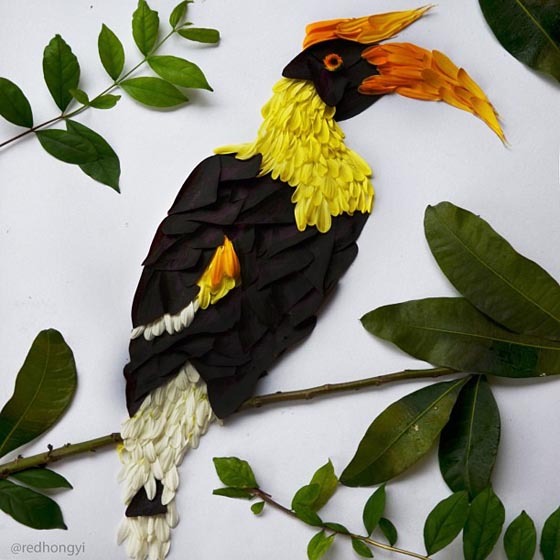 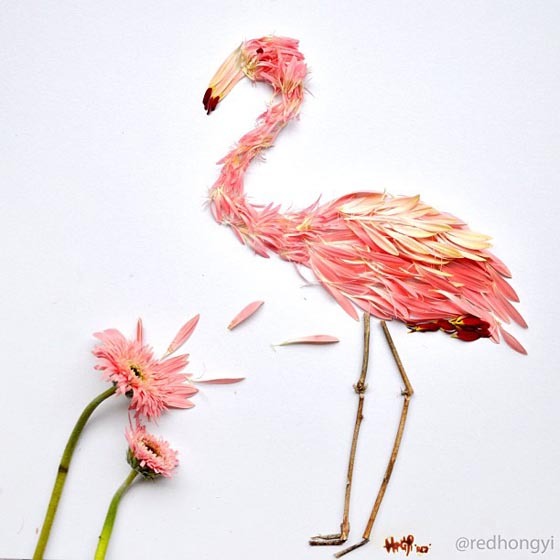 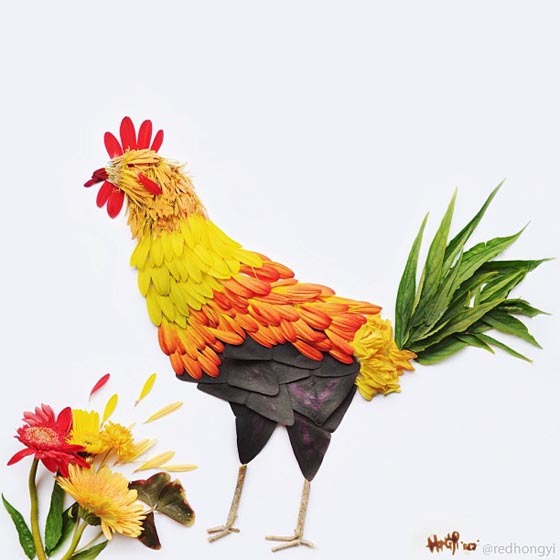 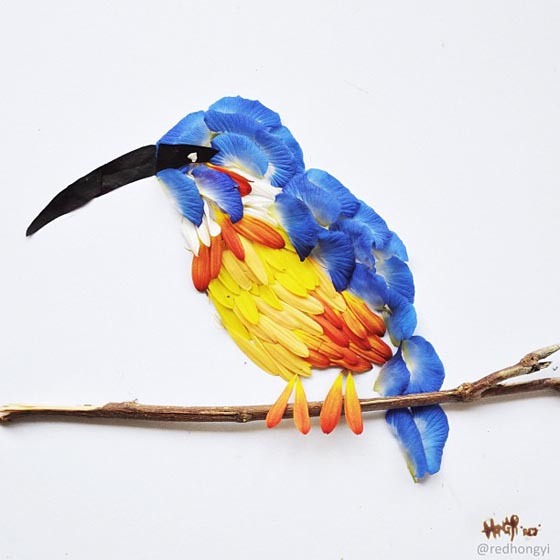 After her Creativity with Food Art of Plate, Malaysian artist Hong Yi came up another fun project that made bird illustrations out of flower pedals. 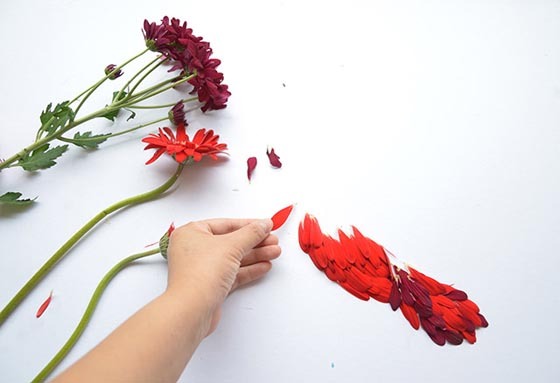 Following Hong’s tradition of making something from unconventional materials, she started this series when she realized that flower petals – especially gerbera petals – look similar to feathers especially when they are arranged on top of one another, layer by layer. 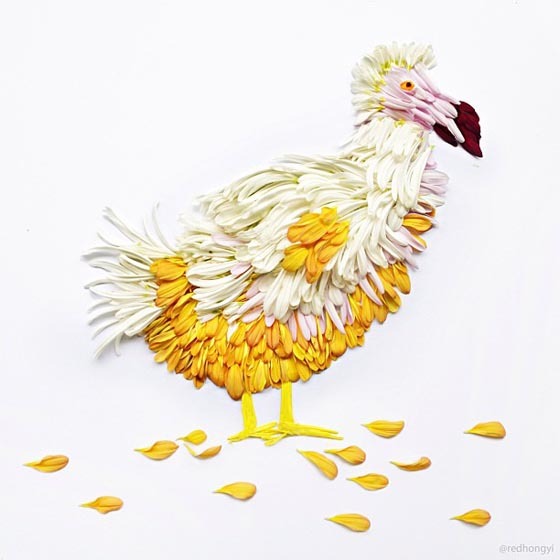 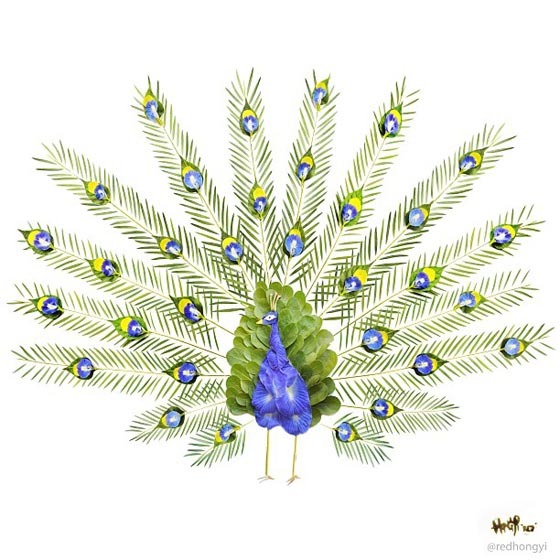 These beautiful flower birds evolved from Dodo to Peacock. 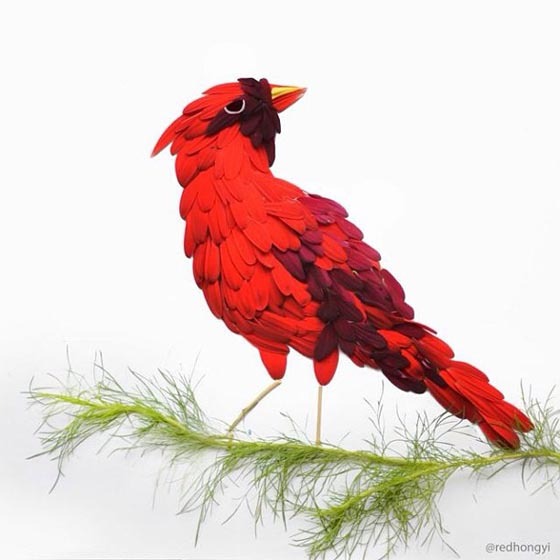 Right now, she has created nine birds and she plans on making 5 five more.